My blinker mechanism was giving me a little bit of grief. For left turns, I had no problem. For right turns, however, the blinker wouldn’t come on. I need to give the blinker lever a good, firm push upward to get the blinker to come on. The actual switch itself was fine, but something in the mechanism wasn’t ‘going all the way’ and switching the switch. I diagnosed it to a little, nylon slider that loosely connects the blinker lever to the blinker switch. 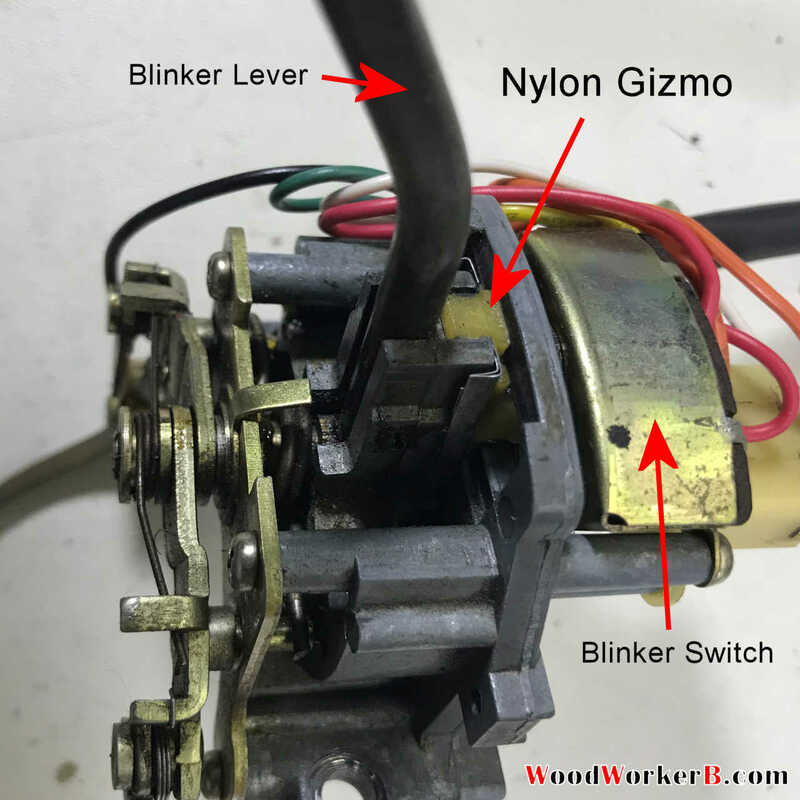 This little nylon gizmo allows conversion of the circular movement of the blinker lever into the ‘straight line’ movement of the blinker switch. 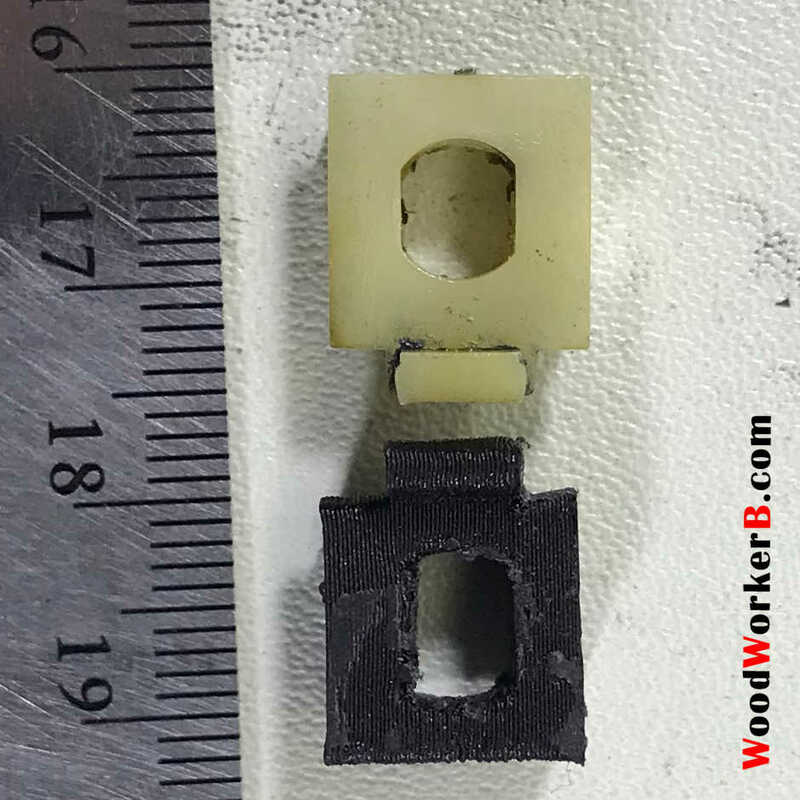 After 50 years, it appears the little nylon gizmo wears down and does not fully translate the lever movement to the switch. I noticed it ‘torqued’ a bit as I moved the blinker lever. In the image below, you can see that I had originally added a few shims made from a soda can. That particular fix didn’t work. As-Is” drawing of the Nylon Gizmo. I carefully measured my ‘as is’ nylon gizmo and transferred the design to my 3D printer. My printer prints a few thousandths oversize, so I figured this was a good starting point. I printed with a carbon-fibre PLA and the slight ‘oversize’ of the print produced perfect results the first time. The nylon thingy was in fact worn out, too. However, I only had to lengthen the spring which presses the little ball onto the seesaw. Additionally, I slightly bent up the two metal tabs on which the ball rolls. 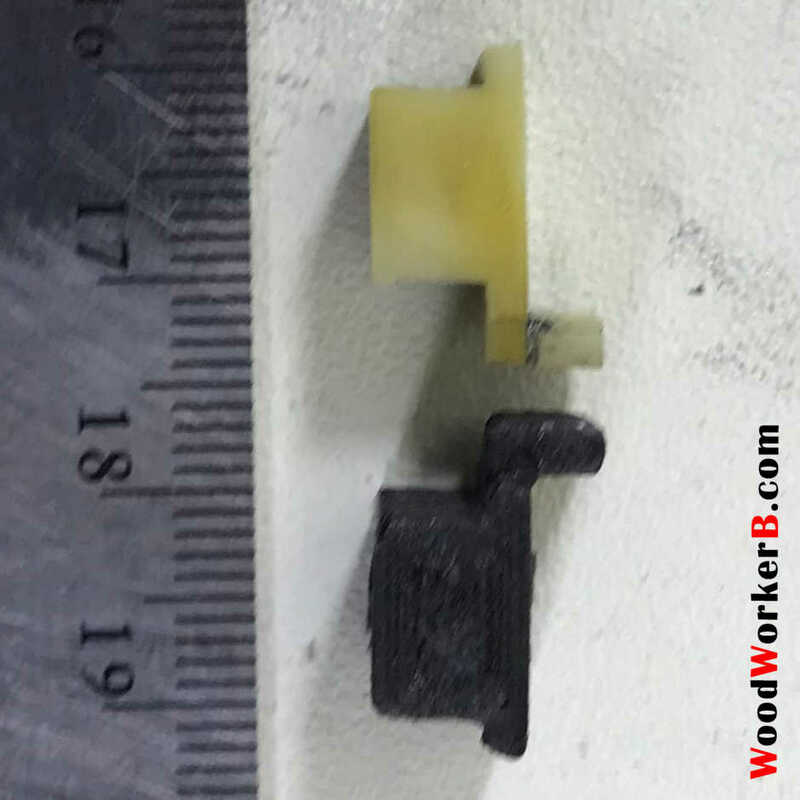 Therefore, even with less side-to-side movement of the nylon actuator, the seesaw gets fully engaged.